My name is Neil Stanton and I am the owner of Big Dog World. Big Dog World was launched in 2010 as an online shop dedicated to products for larger dogs. I have always loved big dogs and, in 2008, I got a Newfoundland puppy called Elvis. As Elvis grew (rapidly! ), I discovered that many of the products bought for him from supermarkets, pet shops and online pet retailers were not suitable for large powerful dogs. Chews lasted 5 minutes, toys were destroyed in 2 minutes, accessories weren't available in the size we needed, and I spent hours trawling through thousands of products looking for ones that would be appropriate for a dog of his size and strength. 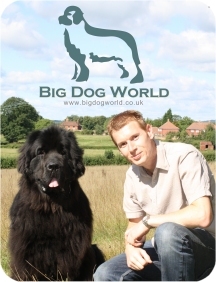 After scouring the internet, I discovered there wasn't anyone in the UK specialising in products for large and giant breeds, and the idea for Big Dog World was born! After nearly 10 years managing and developing IT systems and websites in the public sector, I decided to do something I am passionate about - to produce an easy-to-use website supplying high quality products at great value prices for fellow owners of big dogs, with unbeatable customer service. A bonus is that I got to spend more time with Elvis, who came to work with me every day! Sadly we lost Elvis in 2018, but I like to think he lives on through Big Dog World which he inspired. We now have a beautiful Saint Bernard named Geoff, who loves coming to work at the warehouse! Here at Big Dog World we are committed to supporting the fantastic work done by dog rescue centres and charities across the UK. 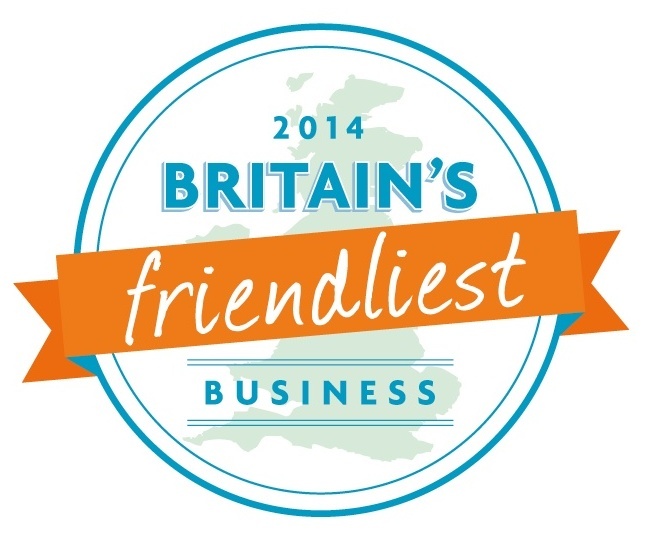 We were really pleased to be selected as a semi-finalist in the search for Britain's Friendliest Business in 2014. Thank you so much to all the customers that recommended us. We hope that we are one of the friendliest companies in the UK, so this nomination really meant a lot to us. In 2011 we were honoured to receive the "Young Business of the Year" award in the Surrey Business Awards for our commitment to outstanding customer service. A huge thank you to all our customers who have supported us. Providing our customers with great service is our number one priority, and we are now ranked as one of the top online pet shops by Trustpilot, the independent customer review site. "Friendly, outstanding, a great company...they really know the meaning of customer service and bend over backwards to help"
"Professional, fast, extremely helpful, friendly and a company you can trust. Prices are always competitive and they are always happy to help answer any questions. Thank you Big Dog World for your 5* customer service!" "Very pleased with products I bought, look and feel good quality and a reasonable price. It was also only place I could find size I wanted without paying over the top. Will definitely use again." "An excellent company. A vast number of products, all good quality. Their website is easy to surf and ordering straightforward. I recommend the company and their products." "Always so easy to purchase on line at a very competitive price. Delivery is reliable and prompt." "The answers, particularly the info on delivery day, helped me make my decision. The purchase was up to my expectations and has fully fulfilled my needs. The online chat was quick and helpful and the answers given helped me to make the purchase. 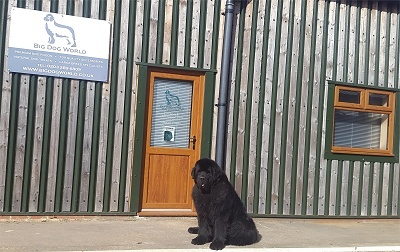 Big Dog World site was far better than most I had looked at and quite clear in sizing/delivery/cost."